General practice makes a critical contribution to healthcare in Ireland. However, there is a weak understanding of the general practice workforce in Ireland. 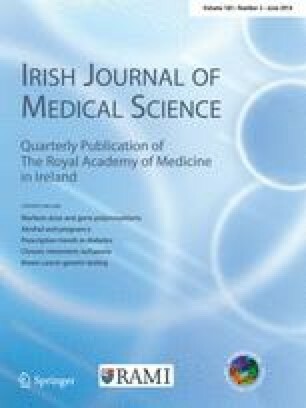 The aim of this study is to estimate the number of general practitioners (GPs) and practice nurses in Ireland. A variety of data sources was used to corroborate counts of general practitioners and practice nurses. Capture–recapture methods were used to estimate the hidden population of GPs not identified by the databases included. There are 2,954 general practitioners in Ireland, equivalent to 64.4 per 100,000 population. There are 1,700 practice nurses nationally, equivalent to 37.1 per 100,000 persons. There is substantial regional variation in the number of general practitioners and practice nurses per 100,000. To some extent, deficits in one discipline may be counterbalanced by a surplus in the other. In the absence of a centralised register, it is not possible to track the number of GPs or practice nurses working in Ireland at present. This is despite the fact that there are twice as many general practice visits per annum compared to hospital visits.